Located in the Riviera Maya, the Dos Ojos is the world’s third largest cave with over 8 KMs of caverns to explore. Cenote means “sacred well” and Dos Ojos means “two eyes”. 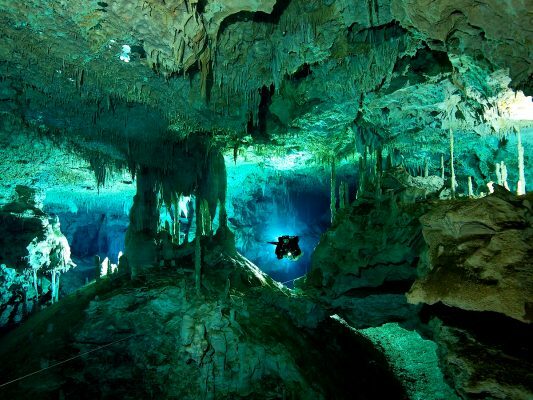 Meaning that this is the perfect spot for divers because this combination of various geological events and climate changes created these unique and magical areas in the waters of the Yucatan Peninsula, so they are a must see for divers! This small volcanic island, situated off of the west coast of Mexico, is the number one spot for Great White shark encounters. It is home to a primordial beast for travelers to come see and cage dive with. 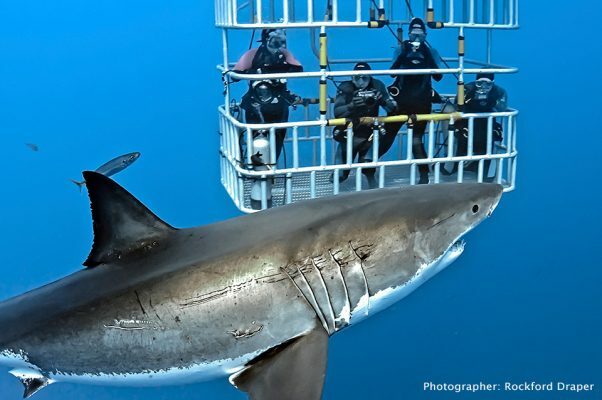 There are over 200 unique great white sharks to view up-close and personal 30 ft down in the beautiful, clear, blue water. The boiler got its name from being the remains from an underwater volcano and when the waves hit its surface, the spray can be seen from a distance. The boiler is known for all different invertebrate and vertebrate life; like large Chinese trumpetfish, guineafowl puffers, clarion angelfish, lobsters, creole, octopus, white-tip reef sharks, and most importantly, playful giant mantas. There is so much interaction at this site for divers. 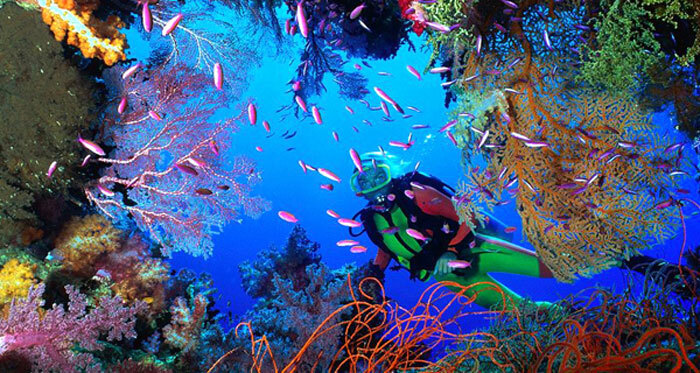 This is an extreme scuba diving experience, only for certified divers! 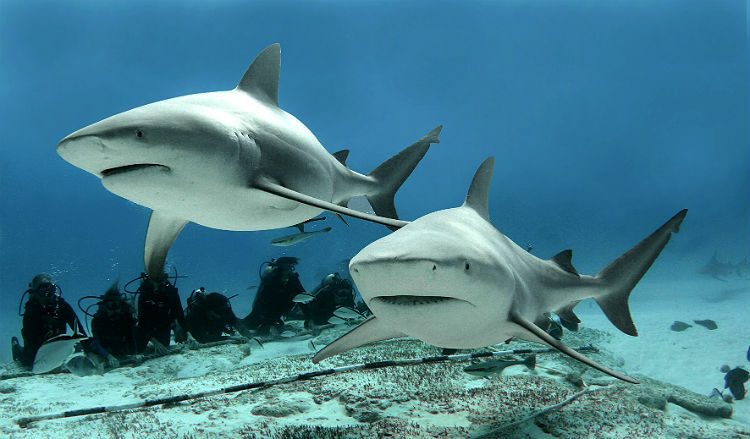 The bull sharks gather in the cenote waters of Playa del Carmen to breed. They are an aggressive creature, so the diving experience is taken very seriously with strict rules, but once you are positioned properly on the floor of the ocean; bull sharks everywhere! Behind you, in front, besides, swimming all around you. It’s an adrenaline rush that has your nerves all over the place, but a spectacular show to witness. The waters of Isla Mujeres, located off the coast of Cancun, Mexico, is the largest aggregation of whale sharks from May to September. 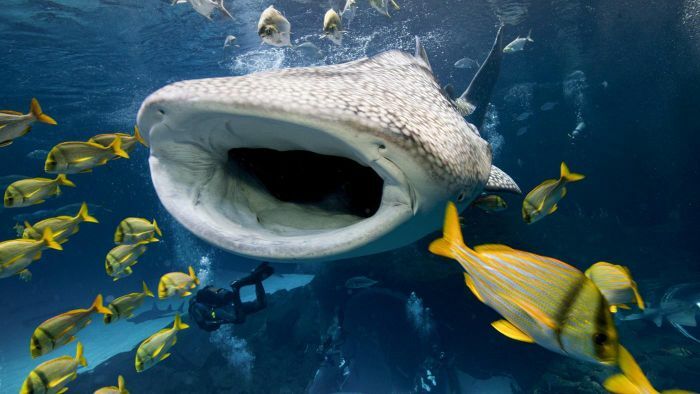 Afuera means “outside” because they gather farther out to sea due to the mass spawning of tuna, laying their eggs all over the ocean floor, for the whale sharks to feast on. 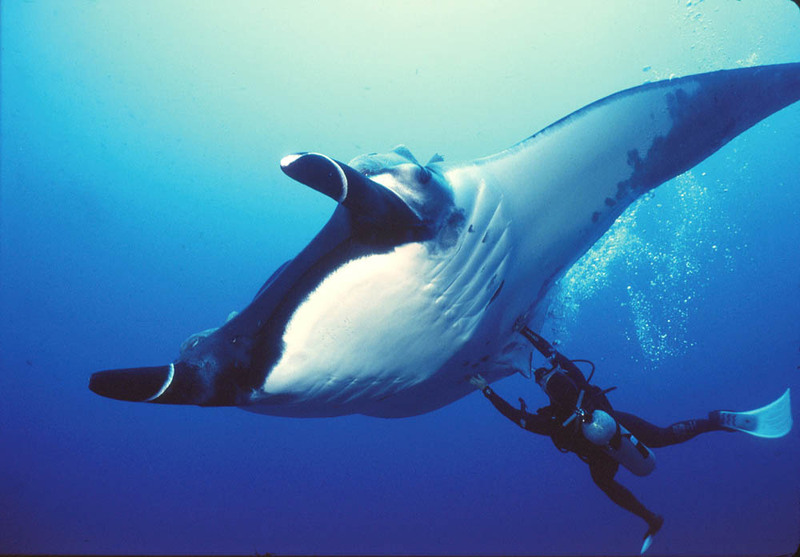 Manta rays, golden eagle rays, sailfish, and marlin will also join in this feast. 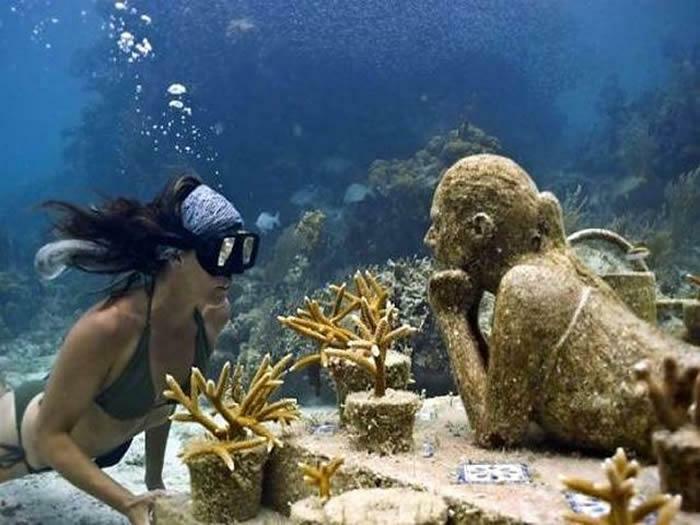 The Manchones Reef is home to the biggest underwater museum. For all the history, loving divers can come learn about the ancient Mayan Culture; like the Cross of the Bay, Man on Fire, Dream Collector, and others. Amongst all the underwater history, you can also see the vibrant coral landscapes, elk horn coral, stag horn coral, brain coral, and sponges. The marine life is also very colorful, filled with blue tangs, angel fish, wrasse, trunkfish, grunts, snappers, damselfish, and see breams. It is the healthiest marine ecosystem and the largest atoll reef, located in Quintana Roo, Mexico. This biosphere reserve hosts the most beautiful, healthy, and colorful coral reefs, interesting shipwrecks, and warm waters. Because the coral is so healthy, it is home to diverse marine life; like lobster, groupers, stingrays, sergeant majors, French angelfish, queen angelfish fish, nurse sharks, barracuda, and different species of turtles. As a bonus, you may also be able to swim with the manatees. Located off the southern tip of Mexico, this location is a very seasonal spot. 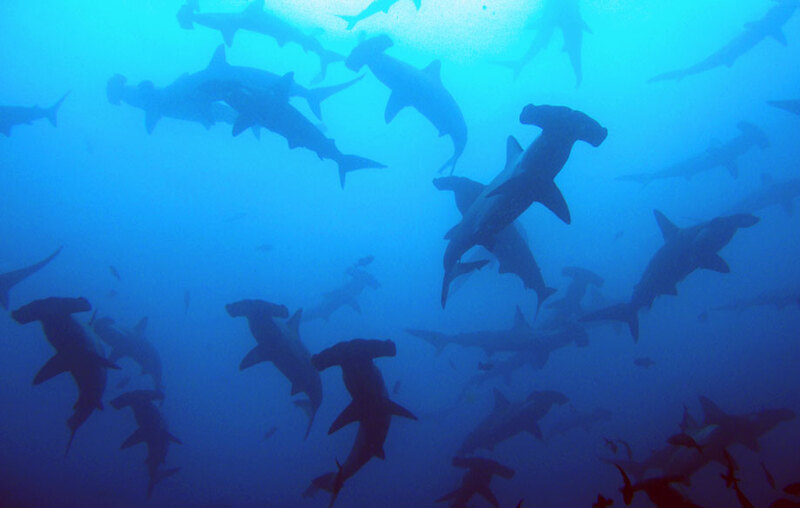 Sightings of the hammerhead shark gathering can be seen June to November. The summit of the bank is a maze of canyons and rocky peaks covered in small gorgonian corals. In the midst of the hammerheads, you can also find jacks, mackerels, tunas, snapper, groupers, eagle rays, devil rays, cow-nose rays and mobula ray, mammoth manta ray, dolphins, silky sharks and whale sharks. 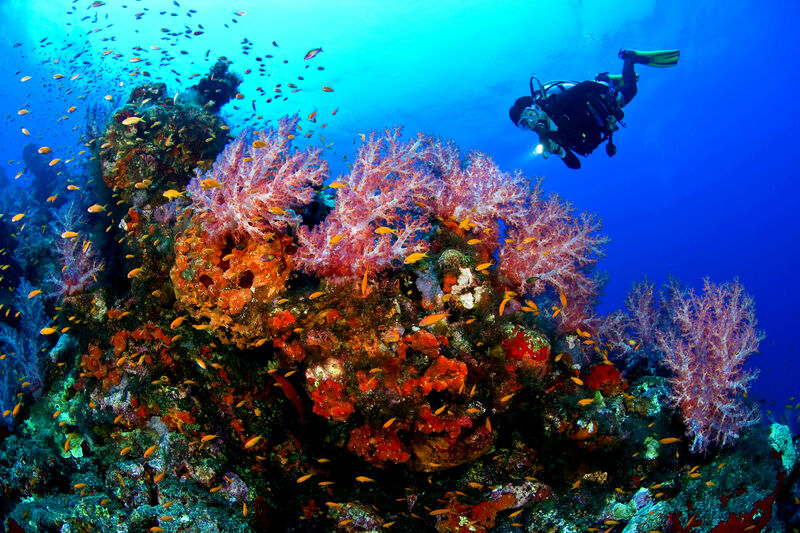 This reef is divided into 4 sections; the Palancar Caves, Palancar Bricks, Palancar Horseshoe and Palancar Gardens. The beginning of the reef is the Palancar Bricks which has caves, canyons, overhangs and gardens. Palancar Horseshoe is a large horseshoe shape, bursting with varied corals, sponges and a variety of marine life. The Palancar Caves site has deep buttresses, tunnels, caves and large caverns. Palancar Gardens is a good place to encounter stingrays. The Gardens features towering rock spires and cliffs that are covered with colorful corals and purple and orange sponges. 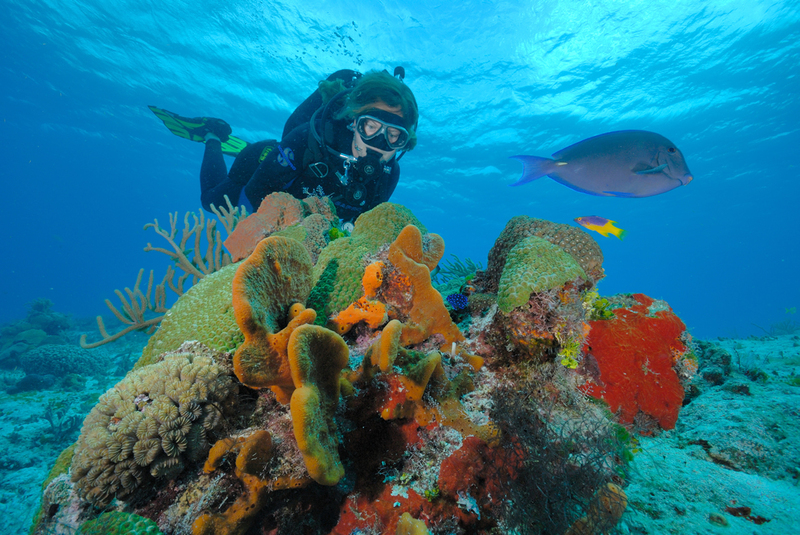 These reefs are filled with diverse marine life, such as corals, sponges, jacks, triggerfish, turtles, snappers, angelfish, Bermuda chub, rays and several species of sharks. La Paz is a gateway to the Sea of Cortez. When diving in this gateway; you can see orcas, blue whales, bottlenose dolphins, mobula rays, and most importantly, California sea lions, sea lion bulls, and juvenile sea lions. 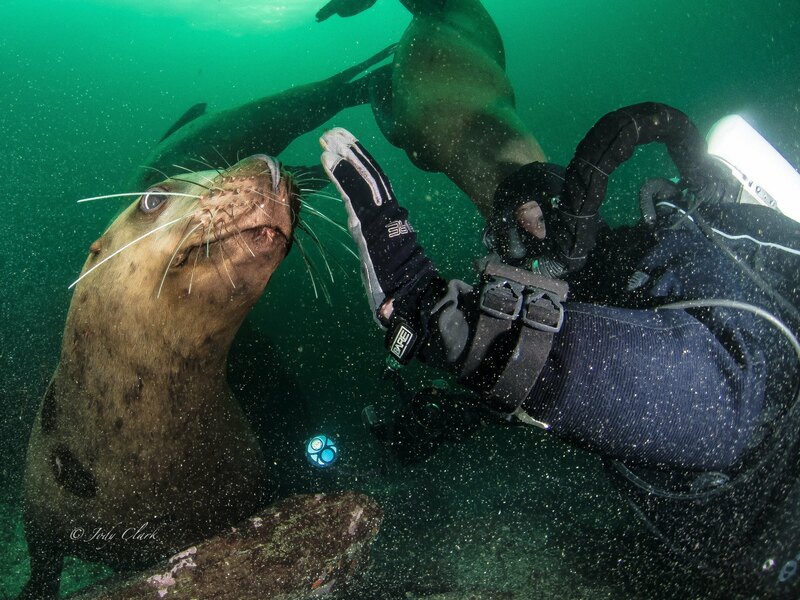 All the sea lions are extremely playful, spinning around, and love to swim with the divers; making them the main attraction. Other sites to see are golden cup corals, king angelfish, seahorses, sally light foot crab, and much more. Lastly, for the birdwatchers; you may see pelicans, boobies, and red-chested frigate birds. The sites are endless at the La Paz gateway to the Sea of Cortez!